IFF Fellows help create and curate the programming that inspires and empowers the voices of Internet Freedom throughout the world. The 2018 IFF Fellows are an outstanding and diverse cohort of 20 professionals & community leaders. Coming from 17 different countries, they will work together to review and select sessions across the entire IFF Program, to ensure that diverse viewpoints and voices are well represented. Lobsang is a Digital Security Trainer working on increasing the capacity and awareness in the Tibetan Community both in Exile and inside Tibet. 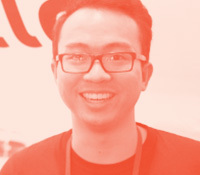 As the Director of Digital Security Programs at Tibet Action Institute, he has worked on developing community specific technologies and content for his community in collaboration with developers and researchers, and delivering them through customised training and public awareness campaigns. Dalit Dhamma is a Human Rights Activist, Digital Security Trainer, and a student organizer from India. Coming from a South Indian Buddhist family she resolved to work for the Dalit Bahujan liberation early on in her life. She has been involved with various Buddhist and Human Rights organizations on a voluntary basis since 2005 and trained many Dalits Bahujans, women, youth and children across India. Oussama cares deeply about democracy, civil society and human rights. He has devoted his engineering and technology skills to support peace-building efforts in Syria over the past three years. Working on capacity-building for fledgling Syrian civil society organizations, especially in the areas of information integrity, digital safety and security, and institutional policy development, he looks forward with hope to the day when these issues will be at the top of the agenda for Syrians writ large. 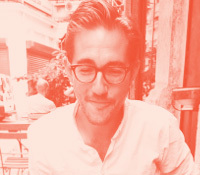 Andreas Reventlow is the Programme Development and Digital Freedom Adviser at International Media Support (IMS) where he works with journalists and human rights defenders to promote standards of professional journalism, digital security and internet freedom. He is responsible for developing new programmes in countries in conflict and fragile states, with a focus on the MENA region. He has published on issues such as media and conflict, internet governance and free speech online. 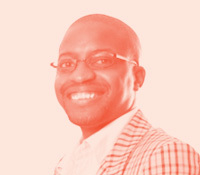 Tawanda Mugari is a Zimbabwean based Digital Security Trainer and co-founder of Digital Society of Zimbabwe, a voluntary network of technologists and trainers that specializes in building the digital resilience of human rights defender communities at risk. He has a background in management information systems and is a researcher of ICT innovations for developing countries. Passionate about Human Rights & Gender issues, Tawanda also is a lecturer at a local women’s university covering Management Information Systems, and Internet Fundamentals. 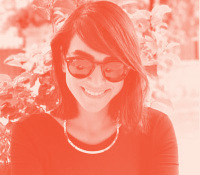 Mahsa is an Internet researcher focusing on human rights and technology in Iran. 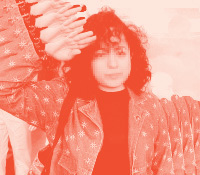 Mahsa did her undergraduate degree in political science at the University of Toronto, and her Masters degree on social movements and technology in Iran. She is currently doing her PhD at the Oxford Internet Institute, while working on digital rights projects in Iran with Article 19. 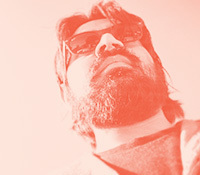 Jaume Cardona has a background in software development and computer security. He is the chief technology officer at Huridocs, an NGO supporting human rights organizations in their information technology needs: data science, digital security, machine learning, websites and visualizations. 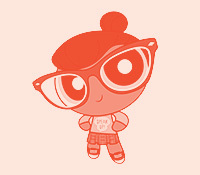 Paola is a self-taught systems programmer from Mexico City. She is a long-time advocate for public access to information, an open source veteran and community builder, and a talented programmer and data scientist with a history of work for social justice causes ranging from community over-policing to solving local transportation issues. Paola is originally from Mexico City and is currently based in Boston, MA. 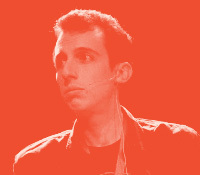 Tom Ritter is a distinguished security engineer and recovering consultant now at Mozilla, working on anti-exploitation, Tor, and other new and evolving security features. Previously, he did all manner of security consulting and practice management at NCC Group and iSEC Partners. While consulting, Tom participated in numerous public audit reports including TrueCrypt and Tor Browser; and presented his research on NPR, CNN, and other media outlets. 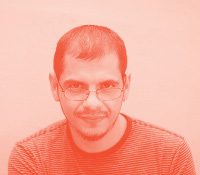 Sergio is a well-respected leader in digital activism and computer security for civil society organizations and activism groups in Mexico and throughout Latin America. An Internet Security consultant by trade, he is one of the founding forces behind SocialTIC A.C., a member of Internet Society Mexico and a trainer in Internet Security and Privacy for the Defense of Human Rights. Sergio is a graduate of the National Polytechnic Institute of Mexico. 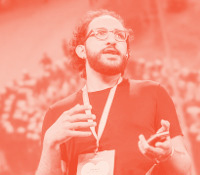 Ramy interacts with a wide spectrum ranging from NGOs, journalists, lawyers, politicians and artists on the intersection of tech and social causes mainly on privacy and security, by devoting his skills as a techie and passion for free/open culture. 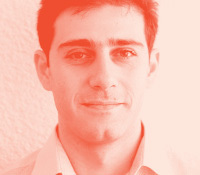 Ramy develops privacy protocols and in his research he focuses on surveillance patterns and holistic privacy. Among different hats, he is Senior Research Technologist at the Egyptian Initiative for Personal Rights (EIPR) and Research Fellow with Citizen Lab. Iryna Chulivska works as a project coordinator and campaign manager at Ukrainian NGO Institute of Mass Information, which protects freedom of speech and journalists’ rights. She works as a trainer on digital security for journalists, human rights defenders, activists and others. Together with other trainers and specialists she is a co-founder of Digital Security Lab Ukraine. Iryna has a degree in Journalism and graduated from the ISC Project ToT program on digital security. Cheekay Cinco is a feminist Filipino activist. She has been working in the area of strategic use of internet-based technologies for activist and their groups and networks since 1999. Currently, she is an independent consultant, designing and providing training for activists and their groups, and supporting groups to become more resilient in responding to and avoiding security issues. She also facilitates technology and activism focused workshops and events. She sees herself as a part of the women´s rights and feminist movements. 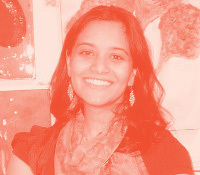 Riya is a project manager and user support engineer for the private messaging app Signal. She streamlines feedback from online channels on the user experience and advocates for design changes to increase adoption of privacy tools. Riya is a graduate of UPenn’s Jerome Fisher Program in Management & Technology and was previously an algorithmic derivatives trader. Naomi Fontanos is a writer/educator, feminist and transgender rights activist in the Philippines. She is the co-founder and current Executive Director of Gender and Development Advocates (GANDA) Filipinas, a nonprofit, nonpartisan, and nongovernment organization advocating genuine gender equality for all Filipinos both offline and online. GANDA Filipinas advocates for a free, open, accessible, and feminist internet that promotes human rights, privacy, security, freedom of expression, and help builds the LGBTIQ+ community. Shubha Kayastha is a sexual rights advocate and a feminist based in Nepal. 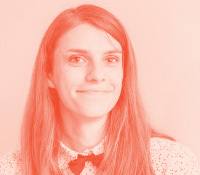 She is co-founder of ‘body & data’ which works around the intersection of gender and digital technology. She has worked with many of national and regional (Asia Pacific) civil society organisations in the past as an employee and a volunteer. Maria is a journalist, free culture activist and researcher at the Karisma Foundation in the area of access to knowledge and culture. 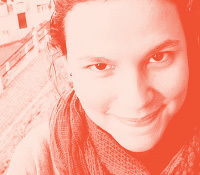 Since 2015 she has been the public leader of Creative Commons in Colombia. 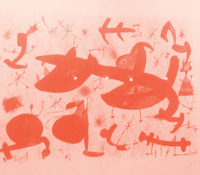 She is also a part of Noís Radio, a communications collective that works in radio art and collaborative media projects. Rodrigo is a journalist with more than 18 years of experience in different Latin American and cross-border projects. For the past two years, he has been a S.A.F.E. initiative digital trainer for journalists from Central America. 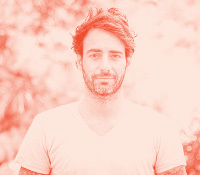 His work focuses around a holistic approach to privacy and security, which includes self care, training out bad habits and careful planning. 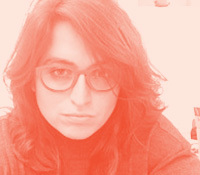 Constanza is an illustrator & designer specialized in humans rights and the internet. Focused on exploring technology related concepts with culture, art, humor and digital autonomy, she works to defend a more diverse and safe environment on the internet. 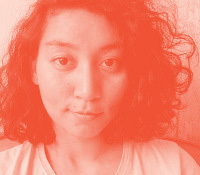 She works as a communications officer at Derechos Digitales, Latin America, coordinating and producing graphics for developing methodologies to learn, share, communicate and co-create. Don is the Media Liaison for Viet Tan, an organisation promoting democratic change in Vietnam. 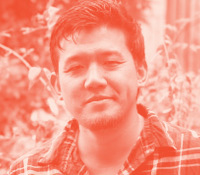 He has helped connect grassroots activists with journalists to bring under-represented voices to the international community. Don has been involved in Viet Tan’s international advocacy efforts to promote internet freedom, increase access to circumvention technology and campaign for Vietnam’s many imprisoned freedom of expression advocates. IFF Fellows are known for being good listeners and strong bridge builders. They serve the IFF in the same way they serve community, bringing the desires, topics, and goals they think about and work on throughout the year in concert with festival participants. As a team, they review all incoming session proposals, help guide presenters before and during the festival and provide outreach within the community to make sure the constantly evolving set of individuals and organizations working for Internet Freedom around the world are well-represented at the gathering. Writing a final report encompassing theme-related outcomes and stories to be shared with the community. Writing community stories for the IFF. Travel support is available for Fellows who do not have access to other resources to attend the Internet Freedom Festival.